One of the central challenges facing modern robotics is developing robots that behave more like humans. Although advances in AI technology are giving machines a better sense of how to navigate their surroundings, there is still a large disconnect in the way they work in conjunction with humans. For foodies, this discovery like the winds of heaven. 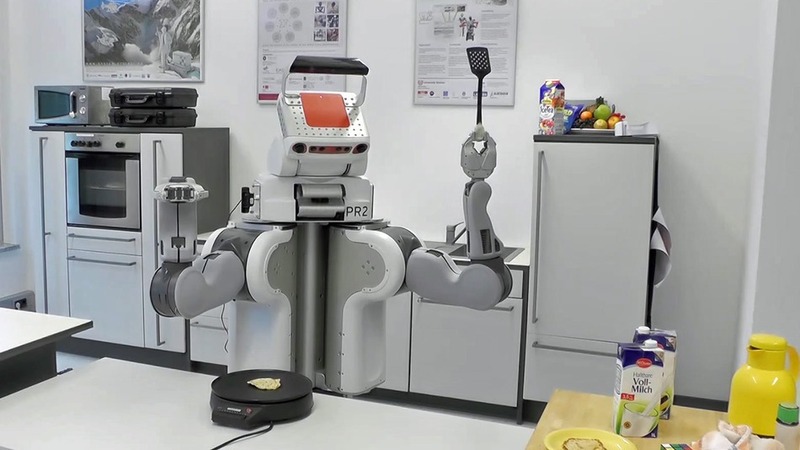 Researchers from RoboHow has managed to make a robot that can make pancakes. As quoted of Techtimes on Friday, August 28, 2015, this robot has the ability of AI that can perform a variety of tasks specific human. This robot is capable of cooperating with humans. RoboHow is a company founded in 2012 and has assisted in the development of the German PR2 robot so that it can move in the right direction. PR2 can perform the physical act according to the instructions provided. 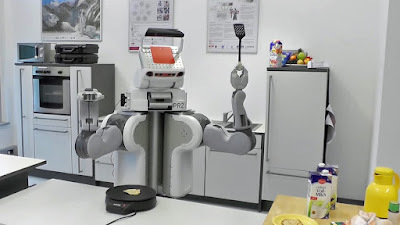 The task of making pancakes is one of the robotic testing process to look at the kitchen. This task can not be underestimated, with proper execution can be done in spite of the complicated framework. Such as understanding the amount of pressure required to open the container.